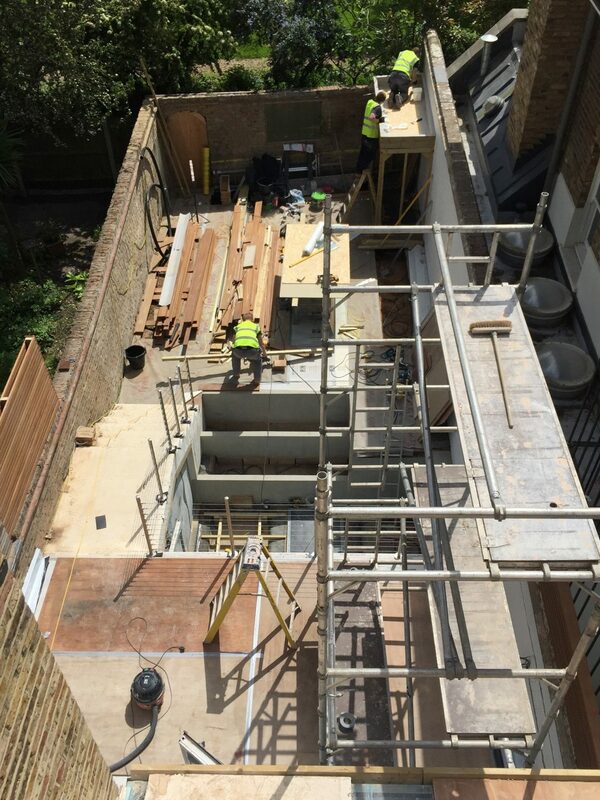 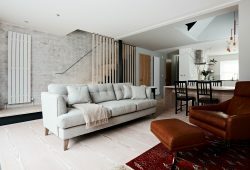 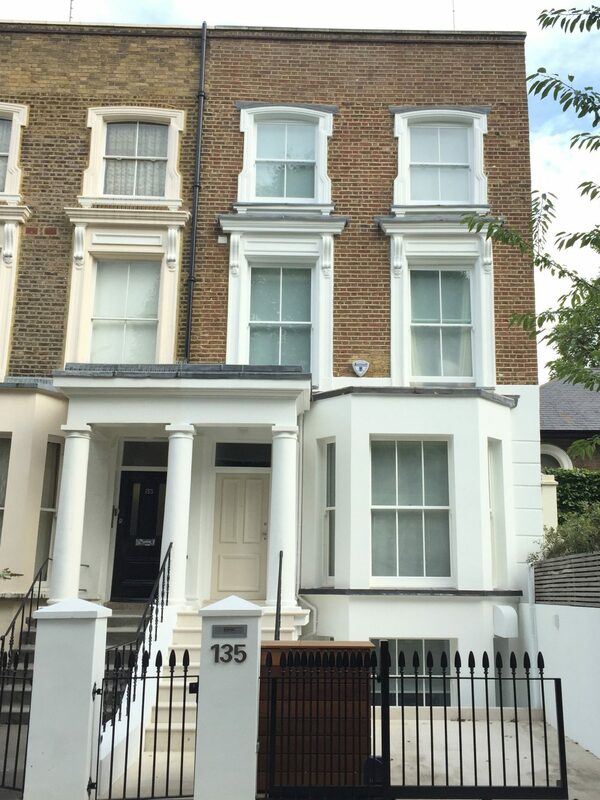 We were briefed to extend this incredible 3000ft2 Georgian townhouse with the addition of a double basement and a lower ground floor garden, which involved significant excavation to well below the water-table. 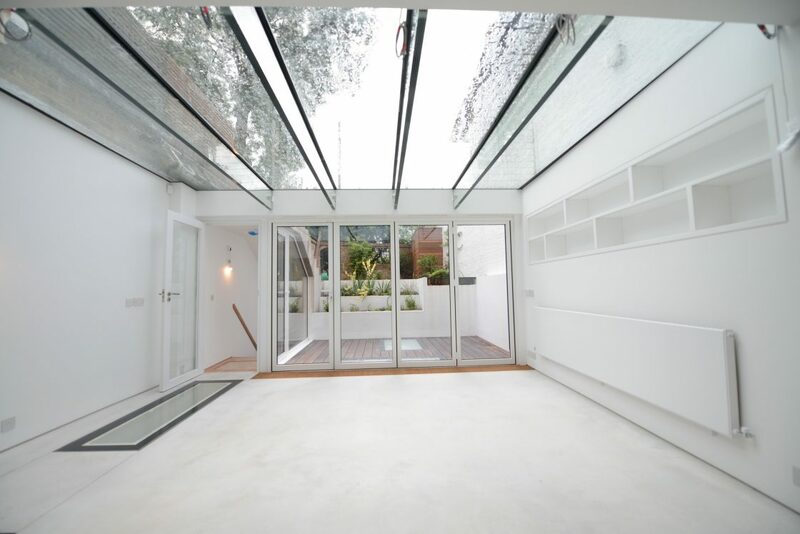 In order to ensure both basement floors were filled with light we used walk-on glass strategically throughout, allowing sunlight to travel down to the lowest level. 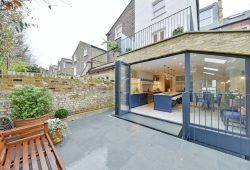 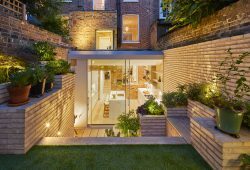 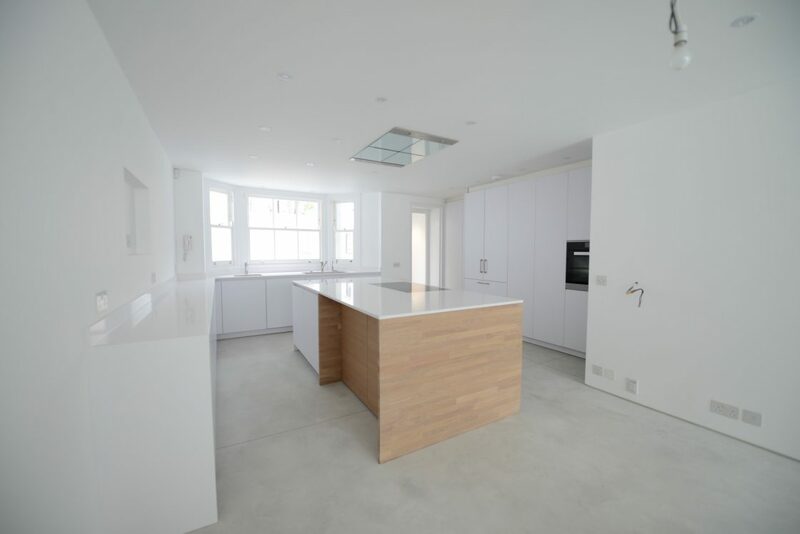 This included a 30m2walk-on glass roof for the kitchen, which we installed using structural glass beams, so that – from above – it appeared to float.